Everyone virtually without exception is telling you content marketing is where it’s at in 2013 and generally they are correct but where are you putting that content? Who is benefiting most from what you do online? Syndications are rolling out more and more schemes with a front end that looks like a great benefit to real estate agents but these schemes tend to work like inverse Trojan horses gathering many elements of the work of individual agents and amassing all those small pieces of effort and energy to themselves to create massive powerhouses that dominate search results. Trulia Stealing Your Thunder In Search? What’s really happening: Trulia has, with your permission, installed a link with targeted anchor text on your website that gives page rank or link juice back to Trulia.com. Beyond that, the widget takes instructions by “calling home” and alters the link keywords to match your specific real estate market, e.g. “Hollywood Hills homes for sale.” These links aggregate as more people install the free widget and Trulia benefits from an array of links pointing to their website where ever they want them to and with whatever anchor text that they want to have pointing to them. In other words, they control the entire linking profile from a vast number of relevant websites all to do with real estate. What could be more powerful than that? And it works. Trulia shows up as the first search result for more and more local real estate searches in Google. One thing that local agents have that is withheld from syndicates is Google’s local search. Optimizing your website along with references in Google local delivers high placement in search results, usually above all the syndicate results. Another is local content. Agents who create content about their community on their website, their blogs and available channels like YouTube will outperform syndicates despite their domain power. I spend countless hours studying and learning what the latest pet peeves and carrot and stick strategies Google is employing to get people to behave they want on their websites. It’s Google’s game absolutely and if you want to be ranked high on Google you will learn the rules or employ someone who knows them well and preferably both. If you should always be informed about what is happening in your business and SEO is no exception. One way to get quickly informed and find out immediate strategies that will improve your ranking quickly is to take advantage of my Real Estate SEO Jumpstart this multifaceted analysis and strategy session includes full website analysis and one on one sessions along with concrete strategies spelled out for you to get guaranteed higher placement for the keywords you are struggling to rank for right now. These are steps you can take on your own, immediately that will make a difference in your real estate business visibility online. Likes and plus ones are a game by-in-large but have you looked at the Search Engine Optimization section of Google Analytics lately? There’s an entire section that measures traffic coming in from “Social” and that “Social” is very broad ranging from Disqus to Linkedin to of course, G+. What is being reported and measured is traffic that engages by clicking through the social media curtain to your website. That is a challenge most people don’t like and don’t want to take on, but the rewards I have found to be high for that very reason. If you’ve seen my SEO experiment on Google Plus, Most of what I have done has involved attracting people to visit the website. Social isn’t the end all but ignore it at your peril. It’s a strong signal when people are actually finding value in what you offer. Set it and Forget it? Forget it! One day soon, somewhere, someone will wake up and check on their local business listing and find it has disappeared. Google will have removed it without a trace and without fanfare. No, they didn’t take a punitive action against an offending product or behavior, but rather the lack of one. Google wants you to keep up and keep it fresh. That simple. Take that places page you created last year. If you leave it alone, you may find that Google has decided that if it isn’t relevant enough to you to update it, it isn’t relevant to others either and they’ll go ahead and let if go with the purge that happens with any healthy data management system whether it is the human mind or a virtual system like Google. Memory and data get pruned, trimmed and purged routinely in human minds and in Google. What color was the car parked next to you in the parking lot this morning? If you do remember at all, what about yesterday? Eventually, information is purged and consolidated. From the Google + TOS page: Google may, without notice, remove your Google+ Pages if they are dormant for more than nine months. One thing you’ll want to do is keep up with your potentially most valuable online asset. A local listing that places above competitors goes a long way. SEO is becoming PR a little bit more every day. Keeping it fresh isn’t just an SEO tactic, it’s a necessary strategy and plan. It may be convenient to set some processes in business and have to give minimal thought to them afterward but Google local and SEO in general aren’t among those set it and forget it processes. I participate in a forum for SEO advice. Mine isn’t always in the professional vernacular but I focus on clearing up major issues fast for websites. Real estate websites are close neighbors of Bed and Breakfast websites so I thought I’d share some observations on this particular website just for people in real estate to gain some perspective into what should and shouldn’t be happening on their sites as well. I hope you gain some benefit from this review of a B&B website. … I want SEO recommendations for both the blog and the main site. Thank you for your help in advance. Hey, Dave Keys here again. We’ll just start out with the main website then I’ll touch on the blog and how to leverage it. I have some initial observations that don’t require much formal “analysis” at all. The site is on page one for its title, “Long Island bed and breakfast.” Nice. You’re ahead of a lot of competitors in organic search but your owner needs to get their focus squarely on the social factors starting with Google reviews. They have two and one is a negative review so they need to start soliciting reviews. They can even ask people who are willing to do a review right there at checkout. Happy people will be happy to oblige and they need to fix whatever was wrong if anything that caused that negative one and then bury it deep under a bunch of positive reviews. A little imagination can go a long way. You could even ask people to review the website after some design changes. Why design change? I’m known to frequently say ugly websites sell, (I don’t mean this one is ugly but that message and communication done right will outperform competition in nearly any design) but there are a few key things that people would like that would also keep them on the site longer, improving visitor metrics. Large format photos. What’s there now are almost thumbnails by today’s standards. People want to see everything large as life. It doesn’t have to be spectacular but get some size into the photo tour. Check out my website about everything atdavekeys.com and see what I’ve done with photography. If they can’t deal with site redesign, that’s fine, get an account on Smugmug and put the photos there so people can see large format views to their heart’s content. It has free account options and albums give killer layouts like this with full screen slideshows and embed codes for websites so there’s little excuse to leave it looking like the last site build was in 2004. Video. Get out the iPhone or the latest $189 HD Flip equivalent (Flip went out of business but you get the idea) and get some slow steady pans and get some video on the website. Talk in the video about what’s nice there. Attract the kind of customers you want by accentuation of what you like and what your best customers like. Many competitors won’t bother to do video and especially frequent video updates. I have a feeling that a well optimized video might show up in organic search as well and help the marketing along. Let’s look at Google itself again. This is critical. Competitors are all over the top of the fold because their Google Places is preferred. Let’s review what makes it count. See? I used an H1 tag in the middle of a post because this is so important. The big G is relying heavily on its own validation schema now and a large part of that is Places and Plus combined. 101% completion of the Google places profile data. Every photo, every allowed character of description and narrative, every video, every description, everything Google will let you fill in, fill it all in and make sure the name address and phone match the website exactly. I can’t stress this enough. Make it complete and leave out nothing. Be sure not to spam the Google Places with over-reaching keywords but describe the business completely. Don’t go into repetition, Don’t put the words bed and breakfast over and over but do some variations for sure. B&B, honeymoon suites if they have them, Weekend getaway. Describe the services and benefits in glowing details. This gets results. I have a places result for real estate SEO expert no matter where in the country you look it up. The map with red pushpin, the mini sitemap, the address and phone, the whole shebang. It’s worth tweaking the places profile absolutely perfect. The same goes for Google Plus and your Google profile. Get it waaaaayy completed. Everything. Use every bit of space to build this profile and then crosslink your site and Google Profile using the rel=”author” tag or rel=”me” tag. I like author best and it works well for me. Get it onto both the website and the blog and sooner or later Google will give you a thumbnail of the Author avatar in search results. See mine as an example A photo of a person is not mandatory but that always works well if there is an owner who is a central personality. My photo is in my logo but it shows up and blows away my competition no matter where I am in search. Get it done and reap the benefits. People click on results with that avatar image. It’s still a bit of a surprise and gets attention. OK, while I’m on the layer of top level observations of the obvious, let’s switch over to the blog. 1 consideration of content is the title. This blog’s title is “blog @ shorecrest bed and breakfast” That’s clever but it’s wrong. Nobody is going to search Google for that title except people who already know about it. Not a lead gen at all. The description would be a far better title: A North Fork, New York Bed and Breakfast, but I’m thinking that may not be a well searched term either. I don’t know. Book with us and never forget how wonderful an enchanted getaway can be. Call 888-333-4545. Visit now. We serve Anne’s Famous Pies daily. Next for the blog, turn it into a keyword and marketing machine that happens to be a lot of fun. Blog about the things people want in this B & B. Don’t be boring. The owner needs to figure out this one thing fast: Why should people choose this B & B above any and every other option available? Get that reason into every part of the website and blog. There should always be a call to action. Phone number. Call us. Book today. Reserve a week, etc. These are all things that will increase your client’s bottom line without one single visitor more coming to the website. I promise I’ll get to the technical SEO stuff but this is just as critical to succeeding in ranking as well as conversions. Look over all the page titles and get them in line with desired keywords. Same thing for the description which says: Shorecrest is a Bed and Breakfast in Long Island, New York. We have a bed and breakfast and a beach house on the North Fork. Don’t repeat keywords the way they are now. Google knows it’s a bed and breakfast. You don’t need to say it twice in the same meta tag. Use the space for a better marketing message instead. Since it’s a Long Island Bed and Breakfast and there are 880 phrase matched searches for that term and thousands of broad context searches (Google Adword Keyword Tool) and only two of your links to the site that I seen in Majestic’s or Moz’ site explorers, it wouldn’t hurt to have a few more links mentioning Long Island and B & B. etc. WARNING. With Google’s latest strictness on overdoing anchors, don’t go crazy on this. Just a few can help a lot IF you get your site titles a little more aligned. Your link profile is one of the more diverse and natural ones I’ve seen in some time, including some of my own clients’. Don’t go getting extreme. Keep links coming in from quality sources and incorporate some of the desired keywords in natural ways and slowly along with every thing else. Google is watching this so don’t let improvements in search results tempt you to go aggressive to get more faster. It won’t work. The blog is doing very well for what is entered in it. Last post ranks #1 and #2 for its title.check it out. Blog post #2 is a bit more competitive but is still on page 1 toward the bottom. It might do a little better if the word “vacation rentals” didn’t show up on the page 11 times in the many categories and the post tags, but nowhere in the actual post content. Recommendation: Streamline posts to mean what they say and say what they mean. If post #2 is really about North Fork Long Island Vacation Rentals from Shorecrest BandB as the title says, then perhaps “North Fork Long Island Vacation Rentals should be in the post body as well but it isn’t. I think you’d do a lot better with the words in the content rather than only in the tags and categories. Read Bruce Clay’s article on siloing. The over-use of categories and tags on this blog is probably making it difficult to create silos of content. The claim seems to be that “This post is about everything I could think of.” This all amounts to keyword stuffing via the use of tags and categories. I would ease up on that a lot. The blog’s performance should improve if it’s a bit more focused on individual topics. If they have that many things to talk about then they should create posts for each topic individually. Blogs are very powerful for exact match long tail topics. Get into the shoes and into the skin of your best potential clients. Think like someone who doesn’t know about your business and use titles that match the kind of searches they might use, even slightly less than completely logical ones. Think like someone might think when they’re not so familiar with search engine strategies. People will ask very direct questions in search. Example: “people my age who live in mountain lakes nj” That’s not exactly logical, but it is predictable. The type of person who would use this query would also be more responsive to a direct marketing message when they visit your website. The post for that result also ranks high for “ages of people who live in mountain lakes nj” a bit more logical and almost as likely to be a good lead. By the way, the red badge in the search result makes my result the likely candidate for a click. I’m competing in a vacuum. That’s why the Google profile is critically important now. You’ll notice I didn’t focus all that much on links. The link opportunity should be taken advantage of but the site is likely to perform far better with some focus on desired keywords. The blog should link back to the home page and use a lot less tags and categories. Use tags and categories to clearly define content and don’t use them to do keyword stuffing. The blog will perform wonders when it’s used as a well aimed rifle instead of as a shotgun. Geese, ducks and Google all hate shotguns so don’t use them. Geese and ducks may reward you if you’re looking for dead birds, but Google will more likely slap your shotgun and take away your hunting license so go to the website and blog and eliminate the excess keywords, get them focused on individual topics and primary goals and enjoy the results! This article is syndicated from my real estate SEO blog and Activerain, but I wanted to add here that the website observed here has moved in and out of the top ten pages of SERPs. Today, it’s at the bottom of page four. It may yet recover but the obvious takeaway here is that at the very best, overoptimizing anchor text doesn’t help your cause. In any SEO campaign, whether for real estate or anything else, best results correlate to best practices and what’s demonstrated here is poor practice indeed. If you want to fall from Google page one to page five in search results, follow this example. Otherwise, follow some real estate SEO expert advice and avoid this practice like the plague. Google is getting better at finding poor SEO practices and discounting them. It may seem like a penalty, but it’s more like an equalizer. Google determines that if your one-trick-pony is your sole SEO strategy, your real estate website is probably not as valuable as other real estate websites and a downgrade is surely on the way for you. Your real estate website is on Google’s radar all the time and the Boilerplate Anchor Text algorithm along with Panda and a host of other analyses of your on-page and off-page SEO is always ongoing. If you’ve been risking your website with poor SEO practices frowned on by Google then any short term gain you may have obtained is probably going to turn in to long term pain when the machines of Google’s 200+ algorithms catch up with you. Why not get the right kind of SEO strategy now? Contact Real Estate SEO expert Dave Keys at 714-222-7961. Google will use SSL technology to further obscure the process by which people find your website, just in case you were trying to figure that out and optimize your content in any way to rank for a particular term, something Google kind of dislikes unless you’re a big brand name like Nike. Then you can rank for shoes. If you’re a shoe store selling shoes in Westbury you can go to SSL encryption purgatory. Sign up, let Google babysit your website and you’ll get a summary if they don’t come up with a penalty program for everyone selling anything or promoting anything they don’t pre-approve. Do you ever get the feeling that Google is controlling a bit too much lately? Could this tip the scales in the favor of Bing? What does this mean for sites that receive clicks from Google search results? When you search from https://www.google.com, websites you visit from our organic search listings will still know that you came from Google, but won’t receive information about each individual query. They can also receive an aggregated list of the top 1,000 search queries that drove traffic to their site for each of the past 30 days through Google Webmaster Tools. This information helps webmasters keep more accurate statistics about their user traffic. If you choose to click on an ad appearing on our search results page, your browser will continue to send the relevant query over the network to enable advertisers to measure the effectiveness of their campaigns and to improve the ads and offers they present to you. In the name of privacy, Google sweeps away more of the competition just by throwing a switch. This is definitely not the way to market a short sale. I have passed this house for several months on my morning walks and said to myself, this house is going to go into foreclosure. Today was the day. Every time I came by, that sign just nearly punched me in the face with “go away!” What this picture does not show is that for almost the entire time until about a week ago that this house was listed, the grass was 3 feet high and everything seemed to say, “Keep moving. Nothing to see here!” it may have not been intended that way at all but that’s the impression that I always got, and I’m sure that many others got that impression too. All the SEO in the world can’t fix poor marketing strategies. It seems to me like some agents just don’t really want the listings they have. Maybe I just have a different attitude of being a little more hungry for business even if my plate is full because I remember so many times when there wasn’t that much business. I couldn’t bear to have this listing without at least going to mow the yard when it needed it if I had to do it myself. And that appointment only sign? What on earth could be the benefit of that? Obviously, this home as it was marketed did not attract enough qualified buyers to get past foreclosure, did it? We so frequently hear about abuse of blog comments, the argument between to follow and no follow back links and so forth that we forget the value and purpose of blog comments in the first place. Comments are there to create a conversation and allow readers to contribute thoughts and ideas to the authors post. Nearly every author appreciates honest contributions to their blog- even contributions that include opinions that differ from those of the author. There are methods to create beneficial and enjoyable content in blogs that also benefit you with the currency of the coveted back link. Step One. Find a decent dofollow blog. Comment, but leave contextual, informative and even entertaining comments. There are still plenty of blogs that actually allow and encourage this. Many are quite generous. Spammers will be moderated out but the real conversations and valid observational comments with an interesting point of view are still very rare and will be welcomed by most moderators. Furthermore, comments that are well-written and conversational, introducing new ideas and thoughts on the topic provide the relevant context for your back link. Yes, back links are the de facto currency of blogs and their comments, but that does not mean counterfeiting of that currency is going to help your cause. The purpose of comments is to create a conversation, engaging the author and readers–you know, just like people do at any real gathering weather at a coffee shop, a party or just hanging out on someone’s porch, shooting the breeze. BONUS many times, a well crafted comment delivers more traffic to a website than the ranking search volume for where you end up in search results from comment links. There’s a real estate SEO Marketing tip that doesn’t require any link strategy at all. Step Two. Once your comment is posted, submit the URL of your comment if available, or the URL of the blog itself to ping services like Pingler. This eventually alerts search engines to the notion that there must be a change or new content on the page. Chatter levels are increasing on forums like Webmaster World about yet another Panda update going on now. Right now. For those who like tracking by numerical sequences, this iteration would be panda 2.4. According to Rand Fishkin at SEOMoz, what makes Panda revolutionary is that it is a learning machine. Perhaps considered by some to be not too unlike the Terminator, always gathering information about and better understanding human behavior. In terms of artificial intelligence, Panda’s view of the world was formed in a soup of months of study and opinion gathering from web activities of real human beings. Google has confirmed that extensive research was performed where people were presented with websites and were simply allowed to vote whether they like the website or they didn’t like the website. This could obviously include factors ranging from colors and appearance to images, animations and graphics to menu systems and of course, the text content and layout of a website. Panda has since recursively crawled, not the web, but the Google index and evaluated the websites in the index and rearranged the search results based on its learning of what is in the index compared to its core learning algorithm from the research accumulated and somehow translated into the “Panda Intelligence”. These recursive reviews of the index and subsequent rearrangement of the SERP (search engine results placement) seem to indicate that Panda comes back around each time, apparently about once per month, with a higher level of intelligence and understanding of the web. Whether or not this is the real-time result, it is certainly the theory and it is a theory that Google is so far sticking with. I have a pretty strong notion that if I am reading content and feel like I’m being gamed with duplicate or rehashed content–and I don’t like that, Panda it is probably going to sense the same thing sooner or later and filter out the same things that I don’t like from search results. That is clearly Google’s intent and if you happen lately to type in a misspelled or incorrect word into Google search you’ll notice that Google has a pretty good idea what you are actually searching for and gives you results for that term first. Slam-Dunk Google-slapped! Your stodgy ugly boring website is finally going down! Crash and burn time for the surviving spammers of Panda 1.0 or whatever name you like. This video clearly illustrates a website meeting its demise as it’s owned by Panda 2.2. Your article marketing supported squeeze page site nobody likes is next! Watch the video carefully as the website is engulfed by the inescapable Panda Update. It’s everywhere now as you have seen with your own de-ranked website that you knew was wrong as polio anyway. That’s right, Panda 2.2 has made it so that people have to actually enjoy your website. Imagine the audacity! Google insists that your website is something people want to see now? What’s it all coming to? My spun articles and bloviated content are going to be ignored, all 600 words of my carefully crafted and unique article? 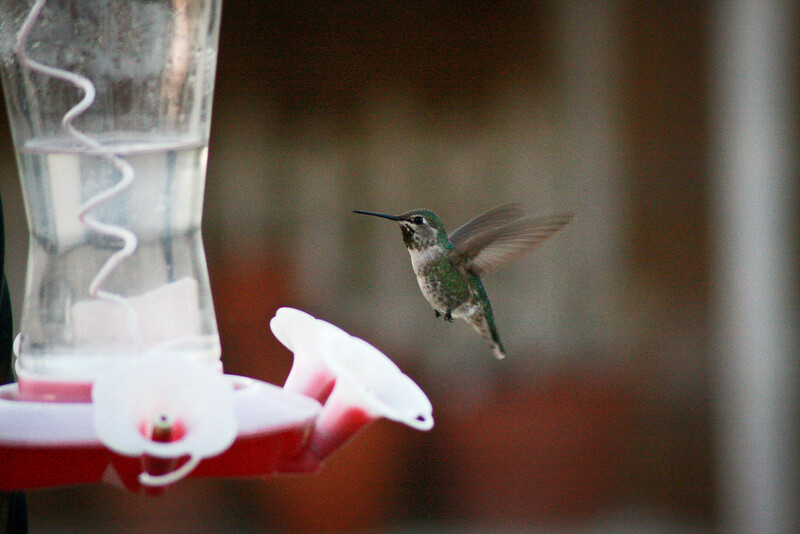 I’m better off with this photo of a hummingbird than you are with your article because people like it better. That’s the essence of Panda Update. Dave – Real Estate SEO that profits you.